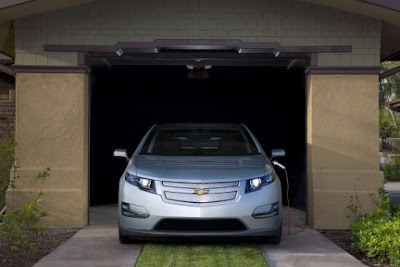 Home » Hybrid » A 20 mile Volt in the works? A 20 mile Volt in the works? According to Consumer Reports the Chevy Volt isn’t a very cost-effective car, and according to the Green Car Book, it’s not very green either. Nevertheless, the Volt makes a lot of sense, at least from a marketing perspective. Moreover, for those wanting to reduce, or even end, their personal foreign oil dependence, the Volt is almost priceless. For the average consumer, however, it’s all about costs. Therefore, the Volt has to become significantly cheaper in order to entice the average Joe and Jane. And, according to insiders at GM, that can be done. “And we’re there,” a source close to the Volt claimed about GM’s ability to shave off $10,000 off the price of the Chevy Volt either through re-engineering, production increases, a new battery – or some combination of all of the above. Unfortunately, the details regarding how GM could reduce the price of the Volt are lacking. Is it all theoretical? Does it mean cutting EV range in half? Does it mean such a strip-down that the Volt feels like a plug-in Yugo? Is this just another hype-driven talking point? If there is any possibility this is the real deal, why not capitalize right now? Thus far, GM is only rolling out a few hundred Volts every month. Isn’t this the perfect time to tweak production if such a game-changing breakthrough has been achieved? Add in federal tax credit and a $30,000 Volt is far more cost-effective than a Toyota Prius, and such a vehicle would easily outsell the Prius as well. So, where is the buzz coming out of GM if a $30,000 Volt is now viable? Does GM just want game changing hype, or to be an actual game-changer?